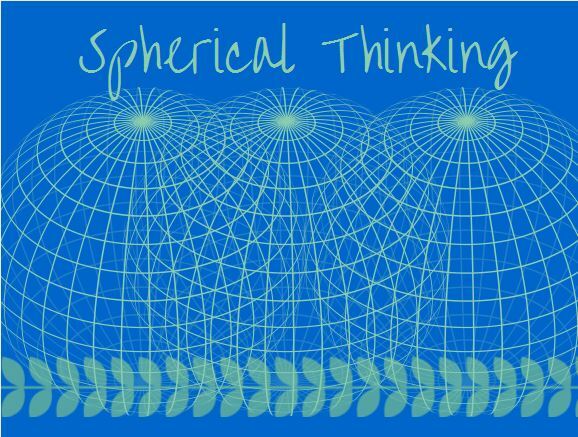 Spherical Thinking is less easily defined than Linear Thinking. I think that in order to process what I’m trying to explain we need to look at the photo above which represents a time line of your life, your linear thinking life, punctuated with spheres representing spherical thinking. As you step forward on your life’s journey, you continue to encompass being a part of timeless presence in which you connect most fully with yourself and others. I am not an expert on Spherical Thinking and I probably use the term loosely to indicate the way I think, so please take this into account. To me, spherical thinking is defined as being aware of the life connections between myself and others with each step on my own life’s journey. It is to ‘see’ without consciously stopping to look around and to innately ‘feel’ how my actions, inactions and words can and do affect others and to modify if needed in order to hold peace in my heart. It’s a oneness, a connective spiritual alliance which grasps the concept of presence (past, present, future) and the basic concept of love (loving ourselves and others). It’s a conscious choice and effort to engage spherically all the time. Truthfully, I have yet to be able to live this way 24/7 but I continue to strive to on this life journey. For me spherical thinking also requires that we live ‘outside the (nothing) box’ and allow feelings to surface in order to clear out wounds from long ago. We live in the present time, (with knowledge that time is limitless, so our past, present and future can connect swiftly and easily, all at the same time to give us a bigger picture). We are also aware of what’s going on around us for the ones with whom we are familiar. We can ‘see’ their heartlight even behind the closed doors that they present to the world. We ‘know’ the hurting that they are experiencing and we adjust our own perceptions in order to not ‘push buttons.’ This makes the connections easier for them (and us) without sacrificing our own integrity. By monitoring our own actions, inactions and words, we connect more easily with others and find a common ground which allows for healing. Oh my, does any of this make sense to you? I feel like I’ve dropped us all down the rabbit hole and that I’m not explaining myself properly! Bottom line is this: I imagine spherical thinking to be a way in which we live presently as much as we can, taking into account our connections to ourselves and to others with whom we come into contact. We allow the feeling of oneness without ego to intrude into our thinking and we live a lifetime with bliss, gratitude and love. The Trouble with Spherical Thinking is that we can get caught up in the vortex of our own spherical tornado and get lost in the shuffle without focus. Linear thinking is supercharged focused living, whereas spherical thinking albeit focused, also deals with emotion, life and connections which are blurry. The trick here is to keep the focus of moving forward all the while with a spherical mind-set. Society for the most part is linear driven and so to stand out spherically is to be looked upon as different. There’s a bit of fearlessness in spherical thinking. To voluntarily move outside the limits of your life and the self-imposed boundaries that we have set, is to be unconventional in some others’ minds and that difference, that divergence can be misunderstood. It’s like the linear thinkers are the hunters and the spherical thinkers are the gatherers of life ~ each type is important to our world. That’s not to say that it’s gender typical. It’s simply how the brains work. It can even be that there are combinations of linear and spherical thinking in your life, times when you change from one type of thinking to another depending on the circumstances. It isn’t that one way of thinking is right or wrong. It simply is and we are all different in the way we function and tolerate thinking out of our comfort zones. That’s part of what makes us so unique and interesting when we connect with each other. Each person shares a bit with the other person’s heartlight to enrich our own being and to enrich theirs in a communal way. Sometimes what we get is less/more than we give which allows energy to flow more precisely. We receive what we need at that moment, with the full knowledge and understanding that when we ebb, more flows to us and vice versa. It is trusting in the oneness that makes the energy of spherical thinking continue to expand. Filling life with kindness and compassion is a habit which I intend to keep. This is not to say that I don’t get frustrated, angry or resentful, but the more I learn about myself, the increased awareness allows me to let go and release the commonality of anger and to represent a more loving, forgiving, happier life. I am finding that this serves me well with relationships, business and life in general. So, tell me…Are you a Linear Thinker? A Spherical Thinker? Or a Combination? 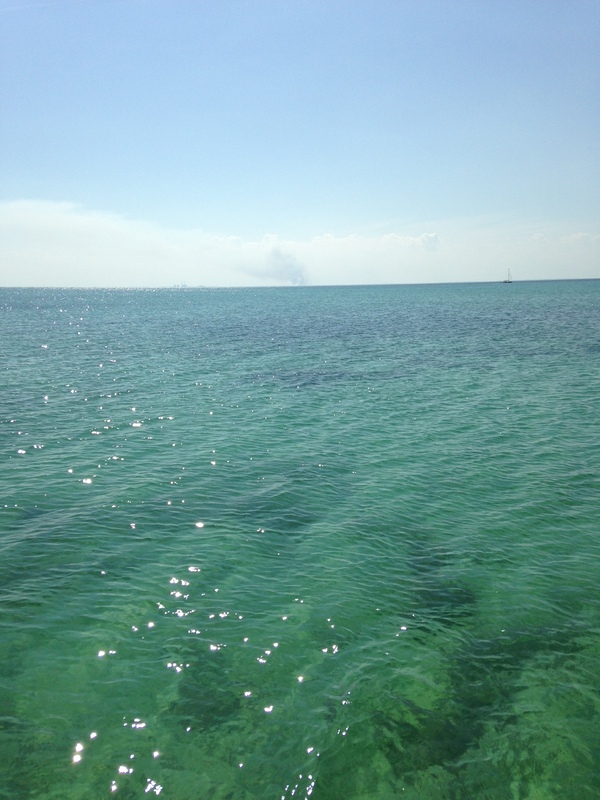 Today’s Daily Prompt asks for our escape plan and from what we’re escaping ~ well for me, that’s easy ~ put me on the water, let the sunshine glisten on the surface of the water like diamonds, allow the sun’s rays above to caress and warm my skin and allow the breeze to lift all my worries from my brain. Being on the water gives me freedom from everything ~ I can only concentrate on the beauty of the moment, escape to the Presents of the Presence ~ relishing the NOW as only this moment allows. It is my very favorite escape ~ I dig deeply into my soul and rejoice in the beauty which surrounds me ~ the call of nature ~ the serenity which envelopes me, the peacefulness which soothes me and lifts my spirits. Guess it must be the Pisces in me? Take a moment and breathe in the peace, the serenity and the glow of life! Describe your ultimate escape plan (and tell us what you’re escaping from).